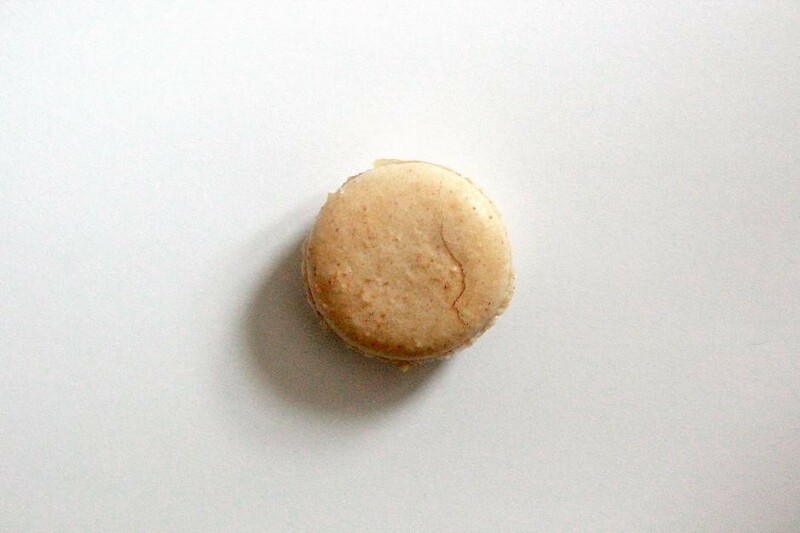 Another very wintery flavour for macaron n°10: apple and cinnamon. The shells are classic almond with a little bit of ground cinnamon in the mixture. The filling is a an apple cream made with white chocolate and apple juice.